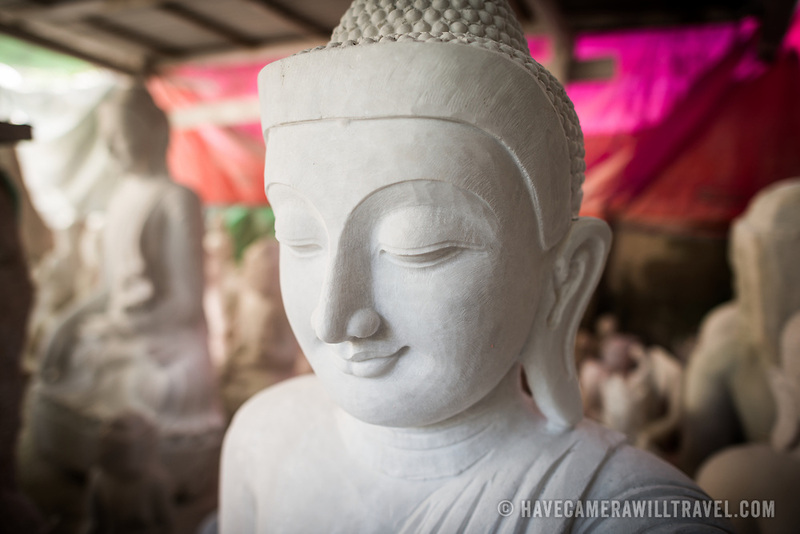 Local artisans undertake the dusty and backbreaking work of carving statues of the Buddha out of marble. With Buddhism being the dominant religion in Myanmar, there is considerable demand for the statues, with clients able to choose from a myriad of poses, sizes, and styles. The artisans are clustered on a street in the Chanmyathazi neighborhood of Mandalay near the Mahamuni Pagoda.